I repetitively tell people ”don’t travel without travel insurance” – whether that be single-trip, multi-trip or annual travel insurance, long-term travel insurance, backpacker travel insurance, digital nomad travel insurance or round the world travel insurance, whatever. I know it can seem like a big chunk out of your budget, especially if you’re on the road for an extended or indefinite period of time, but trust me it’s worth it. In my personal opinion (and I think it’s plain commonsense) you definitely need travel insurance Yes, fingers crossed you’ll never have to claim and yes, often a claim will be small and less than the premiums you’ve paid over the years (such as a theft, missed flight, or minor injury or sickness) BUT, what about if the unexpected happens. What about if you have to cut your trip short for a family emergency – could you find the funds for expensive flights home? Or what if you have a serious accident and need helicopter evacuation and medical treatment – could you afford both of those astronomical bills? In the very worst case scenario would your family have the money (up to £20,000) spare to pay for your repatriation and would you really want to put them through that additional stress? I know that may sound extreme but it does happen and is why you see Go Fund Me campaigns on social media – because people chose to take the risk and not buy travel insurance. What type of travel insurance you buy and with which company depends on where you’re from, where you’re travelling to, for how long, what you want covered and if you have any pre-existing medical conditions. This post is specifically about long-term travel insurance, by which I mean travel insurance that’s suitable for people who plan to travel for longer than a year such as long-term backpackers or digital nomads. Basically, anyone that doesn’t have a time limit set to return to their home country within a year. Note: this doesn’t include long-term/ permanent expats as they’ll often need different insurances, probably including a specific health insurance. After a huge amout of research before we left the UK in 2016 to travel indefinitely we could only find two travel insurance companies that would insure us for annual long-term or multi-trip insurance and also allow us to renew it without returning to the UK. They were True Traveller and World Nomads. They were also the only two companies we could find that also allow you to take out travel insurance when you’re not in your home country. I also see questions about long-term travel insurance and digital nomad travel insurance asked all the time on social media forums. 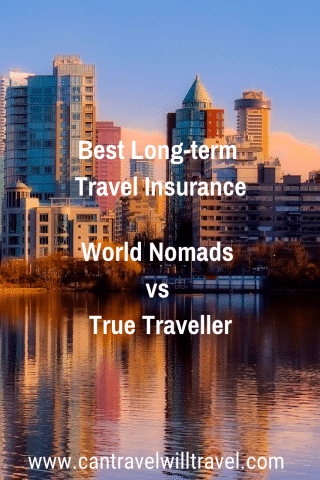 With limited providers for this type of travel insurance I thought it would be useful to share what I know about True Traveller vs World Nomads and also to share stories from a selection of travel bloggers who have used them and claimed with them. 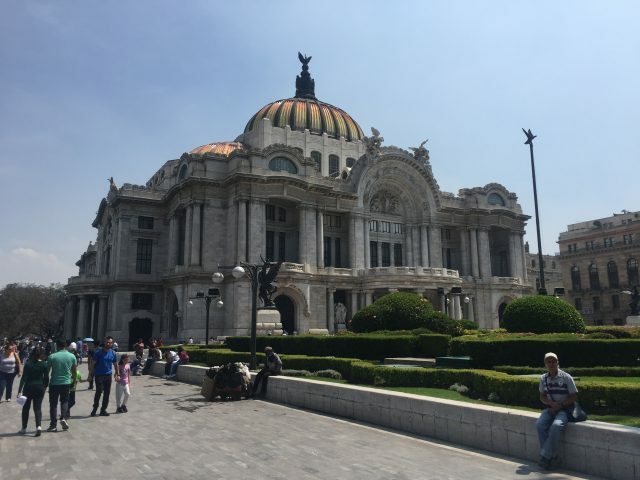 On my most recent travels, I visited Mexico City. I am from Ireland and it was my first time there but I had heard all the stories of crime in the city, especially theft involving tourists. Yet even armed with this knowledge, I was foolish enough to keep my phone and wallet in the pockets of my shorts. The pickpocket’s eyes must have lit up when they saw me. An easy target for the group of thieves on the underground train. I was surrounded by five or six people and pushed onto the train. It only took me a second to realise what was happening but by that stage it was too late. My hands went straight to my pockets but my phone and wallet were already gone. They split off in all directions and I was left helpless. Thankfully, I had travel insurance with ‘World Nomads’. I always toyed with the idea of not getting travel insurance but luckily, logic always prevailed. It’s times like these you are so glad to have insurance. I filed a police report as it is required by World Nomads when claiming for theft. I also had to submit my account of what happened, along with any receipts I had showing the value of the stolen items. Within five days I had a reply from World Nomads agreeing to pay out for the value of my stolen items minus my small excess fee. I received just over £300 in compensation and it only took about three weeks from when I first submitted my claim to receiving the money in my account. I had a very easy claim process with World Nomads and I never felt like they were trying to short change me. Never again will I have the debate on whether or not to get travel insurance. When our ship pulled into port in Ushuaia, Argentina after 11 magical days exploring Antarctica, we thought it would be months before the smiles left our faces. Instead, it took just moments. While we were packing and enjoying one final meal on board with our fellow Antarctic explorers, political tensions were rising within Argentina. To protest changes to pension calculations, the labor union for Argentina’s airlines voted to strike for 24 hours. By the time we arrived we were mere hours away from the start of the strike, which meant our flight was cancelled. While panic spread like wildfire throughout the hundreds of travelers we encountered, my husband and I managed to remain calm. After all, we had travel insurance. We never travel internationally without an insurance policy, and our trip home from Ushuaia was the first time we ever truly needed one. 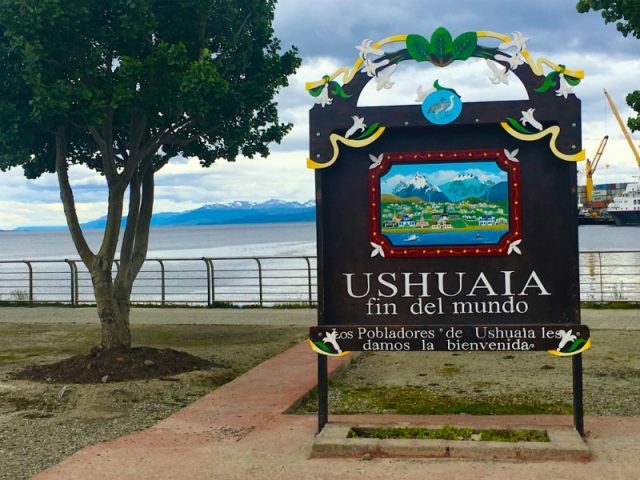 We purchased a World Nomads Explorer Plan that fully covered more than $600 USD (£461 GBP) in unexpected expenses related to our extended stay in Ushuaia. Our additional hotel nights, meals, and taxis to and from the airport were completely covered. When we finally arrived home, filing our claim was simple. We completed an online form and submitted proof of our delay as well as our receipts, and within 30 days we received a full refund. The refund we received was more than the $450 USD (£345 GBP) we spent on the policy! 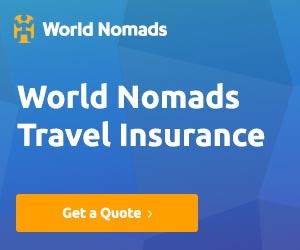 Although we hope to never encounter another travel challenge like our journey home from Ushuaia, we will always travel with a World Nomads insurance policy. We now know firsthand: it just isn’t worth the risk. I promise that I’m usually on time for all international travel, but there was one time that I wasn’t and World Nomads travel insurance totally saved my neck. 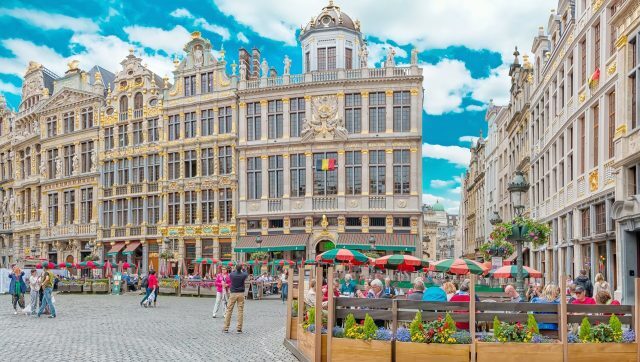 I booked a quick layover hop to Brussels on the Eurostar for a short trip and a hotel to see the Belgian capital. I was living in England’s Midlands and so had to face a three hour journey down to London before we could get on the Eurostar. No problem, my partner and I thought, we’ll allow at least an hour and a half between arriving in London and the start of check in for the Eurostar. Yep, that was a fatal mistake! The coach to London hit nightmare traffic and while we slept on board, the journey was extended by two hours. We had to pay the Eurostar full fare a second time to board a later train – not exactly a great start to our holiday. I didn’t think we’d be covered by insurance as we should have allowed more time. But thanks to handy ‘missed connection cover’ we got the fare refunded minus our excess. Claiming was easy and the customer service was good, so thumbs up for that – it definitely made a big difference to our trip! Before the start of my one-year trip around the world I purchased World Nomads Travel Insurance Explorer Plan. The cost of purchasing the policy plan for five months of travel in Central and South America was $500 CAD (£288 GBP). On the first day of the trip, I managed to have my shiny new GoPro 6 stolen from my bag. Within a couple of weeks my claim had been processed, and World Nomads reimbursed me the full price that I paid for my GoPro 6 ($650 CAD/ £375 GBP). Because I had just bought the GoPro before leaving, they reimbursed me for the entire value since there was no depreciation amount to factor in. Overall, the claiming experience with World Nomads was excellent. Just a day into the trip, and the cost of my travel insurance had already paid for itself. It definitely made me a World Nomads customer for life! 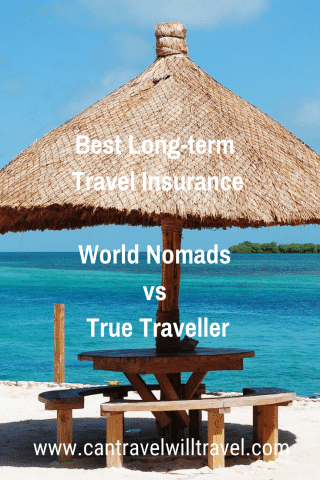 At the time of writing I have had nine World Nomads travel insurance policies in five years – two out of three of my claims have been granted (and if I am completely honest – the third one was a little bit cheeky so I don’t blame them!). My first claim was the cheeky one – I missed a flight because I trusted the advice of an airline employee who didn’t look at my boarding pass properly, and to be fair I should have checked the details of the flight myself. The second claim was probably the most upsetting – a guest checked into the hostel I was staying with in Paris and broke into everyone’s lockers while we were out and took all the cash they could find – about £100 in my case. I dealt with the French police for a few hours and got my report number, logging into World Nomads online claim dashboard was super easy even on hostel wifi. I uploaded scans of the police report and filled in the forms. Less than two months later I had the balance of what was stolen minus my excess transferred into my bank account. The third claim was for the cost of replacing an iPhone that went to electronics heaven after falling in to the Aegean. With this claim all I had to do was go visit an Apple store and have them look at the phone and deem it irreparably water damaged (took my person literally 2 seconds) and print out a pre-written letter stating this. I scanned this letter and uploaded it on the World Nomads website along with my digital receipt from when I bought the phone and again, in a few weeks the maximum payable for personal electronics was deposited into my account. All of my dealings with World Nomads have been great and I continue to use them for my travel insurance policies. True Traveller (our personal favourite) is cheaper than World Nomads but has the disadvantage that it only covers people who are citizens of the European Economic Area (EEA). This means it excludes many nationalities, hence why I have less blogger stories for them. 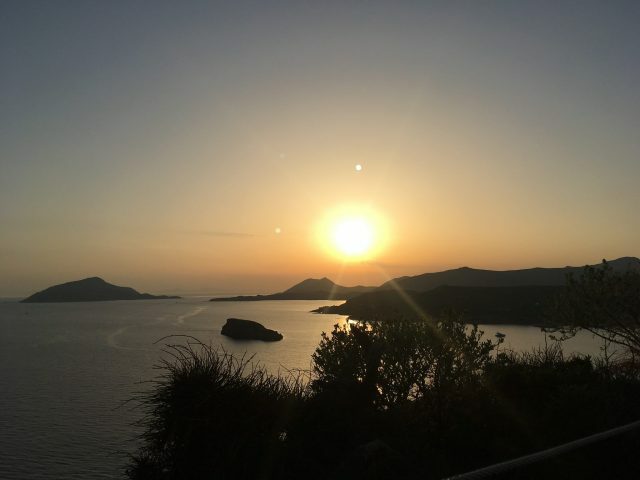 Despite this for those nationalities it does cover it’s an excellent option as it’s cheaper than World Nomads and offers the most fantastic customer service, which myself and other travel bloggers can vouch for as you’ll see from our stories below. Being from the UK, we opted for the ‘Traveller’ couple package through True Traveller, as it seemed the most cost effective option for the cover that we required. It was annual worldwide (excluding North America) policy for a couple and cost us £600. 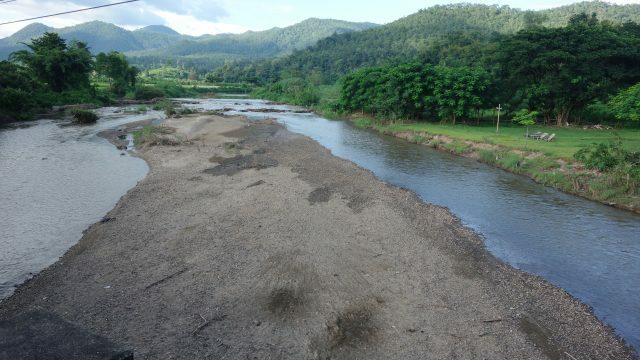 Unfortunately, we had to claim on the insurance after an ill-fated white water rafting trip resulted in our Go Pro taking a swim in the river Pai, Thailand. The claim process was simple: print out a form detailing what happened, and send it back to the True Traveller offices in the UK along with any supporting documentation. We supplied a receipt of purchase and instruction manual as proof of ownership, but were a little worried about proving that we had lost it in the river (no police report!). The best we could come up with was a written declaration from one of the employees at from the white water rafting company, confirming that the camera was indeed lost in the river. As it turned out, that was enough, and we received a refund for the value of the camera promptly after the claim was received (around £270 at the time, excluding the £75 excess). We were impressed with the service, speed of all communication and their understanding that we had tried our best to prove that the camera was lost. Before travelling we purchased worldwide travel insurance from True Traveller, our policy was for 18 months with addons: winter, adventure, baggage, electronics. 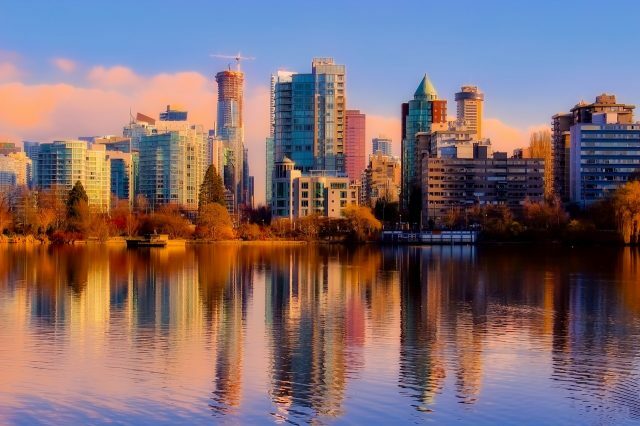 Whilst in Canada, after a period of dizziness I decided to visit a walk-in GP in Vancouver to get checked out. Post investigation, the GP put it down to working on a laptop all day and referred me on to a physiotherapy. I was relieved that the dizziness was nothing too serious, the doctor ruled out any brain related issues. It was lucky I was referred on to the physiotherapist because the GP’s diagnosis was a lot of rubbish. I had problems with ear crystals which resulted in two visits to the physiotherapist. The physiotherapist completed strange body movements where she pulled me up and down to get the lodged ear crystals moving again. It felt like a miracle, no more dizzy spells! The total bill came to $191 CAD (£110 GBP). I claimed via my insurer, True Traveller Insurance, using the provided email address. Half of the total was paid out within three weeks, the other half was excess. The claiming process was painless (boom boom). Before we first left the UK to travel, live and work abroad indefinitely we purchased a True Traveller Annual Single Trip ‘True Value’ policy (excluding North America) which cost us £630.60 for both of us. That first year in Asia we had no need to claim which was great, then towards the end of that policy True Traveller contacted us asking if we’d like to renew it. They also advised us that we’d receive a 10% discount for renewing, so as we had no plans to return to the UK we decided to stay with them. We actually had to get separate policies that time as Andy had gone over the age threshold for the basic policy (haha)! This meant our new policies were quoted to be more expensive than the original ones but we reduced the premium by opting to not cover baggage and money as we figured it wasn’t worth it as we carry very little of value. Seven months later we were at the end of six weeks working from a beautiful Air BnB apartment with pool in Puerto Vallarta when we suddenly received a phone call from home. That call stopped us in our tracks, as my Mum had been told she was very unwell. It became clear we needed to return home asap to see for ourselves what was going on, and to support my family. To make matters worse my Mum had been due to visit us imminently and we’d booked and paid several internal flights around Mexico with her. Andy had also booked a flight back to Cambodia once Mum had gone home and I was in the midst of planning 5 weeks in Central America. There was no question about going home though and we booked some (very expensive) flights back to the UK for 2 days later. I contacted True Traveller immediately who were amazing; they were also very caring and considerate given the cirumstances of our claim. Once back in the UK it was a matter of completing the claim forms and providing evidence of my Mum’s condition and receipts for everything we needed to claim for. Our claim included: two flights from Mexico to the UK, one flight from Mexico to Cambodia, four internal flights in Mexico, plus our hire car once we got back to the UK. In total we claimed over £3,000. Impressively, I received a call from True Traveller within 48 hours of submitting our claim advising that the money was being transferred to our banks as we speak – it arrived the next day! It was such a relief because we’d have been almost broke if we hadn’t had our travel insurance. It also gave us one less thing to worry about in a very difficult time, leaving us free to be there for our family. Happily, things turned out much better than expected with Mum, but even so we’re so glad we had insurance which enabled us to return to the UK when needed. Hopefully these stories have given you a good overview of both companies and will help you decide if one of them is also the best option to give you peace of mind and protection when travelling. Have you claimed with True Traveller or World Nomads and would you recommend them? Also, do you know of any other companies that offer long-term travel insurance where you can purchase or renew cover when already travelling? Such perfect timing! I just had a friend recommend World Nomads, but the thrifter in me needed to do a little recon before committing to one. Thanks for doing the research and sharing your tips. That’s great I hope you find it helpful! I never travel without it! I was insured with True Traveller and got pneumonia in Indonesia. I left it a week before going to hospital so I was in a pretty bad way. 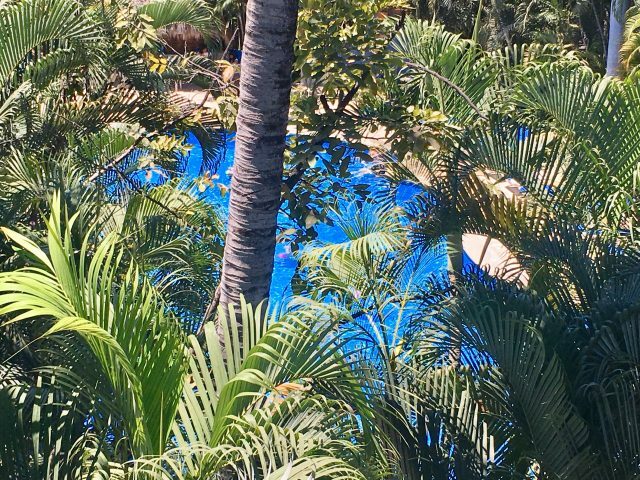 I stayed five nights in an excellent hospital on Bali, my treatment ran into the thousands of pounds. TT had to get confirmation from my doctors that it wasn’t a pre-existing condition then they guaranteed payment and I had to part with nothing apart from my excess. I did have to pay by card for the initial meds and chest x-ray but this was refunded by TT and they took the excess from that rather than insisting I send them a cheque. I’ve yet to see how this will effect future premiums with them but yes, I recommend them! Sorry that happened to you on your trip but thank goodness you had insurance! I’m very impressed with TT so far so will def be using them again! Thanks for putting this together! 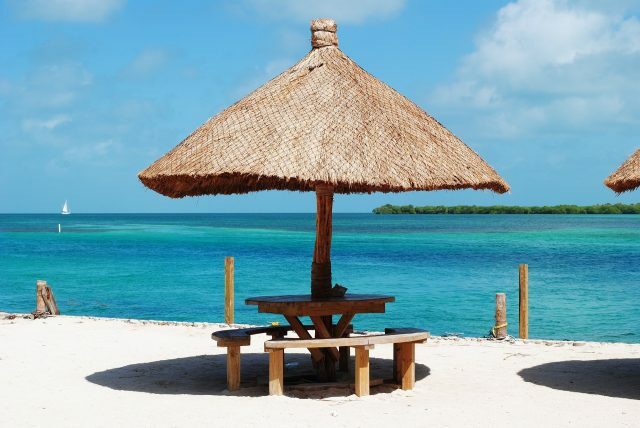 It can be tricky knowing which travel insurance to get and what’s really included. Like I had no idea you could get things like your GoPro covered! I always take trip insurance out. I had not previously found True Traveller and World Nomads. Now I will research them to see if they will be right for our extended journeys. Thanks for the info. That’s great, it really is important! It is so important to have insurance! We had a bad experience on our honeymoon when my wife injured her leg. Luckily we were covered and were able to avoid an even worse experience. Oh no that’s the worst time for an accident. Glad you had insurance and hope it all worked out o.k. An incredibly useful collection of information. Well done.